A place where you can smile proudly and keep it for life. From dental implants to dental hygiene, there are many possibilities to regain your confidence. 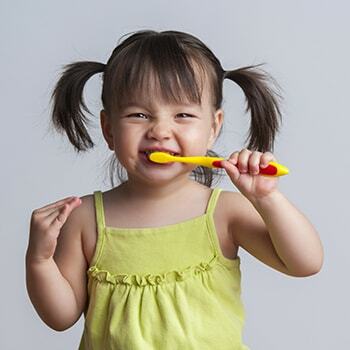 Select a photo to learn more about our top dental services for Lewis Center. Your regular checkups with Dr. Amy Gavin and our friendly team will be far from routine. We don’t focus on your teeth, but rather, we focus on the correlation of your dental health to your overall health. Studies have indicated oral diseases, such as periodontal (gum) disease, significantly increase your chance of serious health risks, including heart disease, diabetes, obesity, and much more. After your exam, you’ll receive a gentle (but thorough) cleaning from our wonderful hygienists who will get rid of tartar and plaque to give your smile a polished look. If you or your hygienist are noticing these early signs, Dr. Gavin may recommend periodontal therapy (scaling & root planing). This is considered a deep cleaning, where one of our hygienists will get rid of plaque and tartar below the gumline to help your gums heal and be free from periodontal disease. Saving your natural smile is our top priority, and root canal therapy (endodontics) is the last resort to save a natural tooth when it’s severely infected. At Olentangy Modern Dental, we are able to perform root canals to save your natural smile. 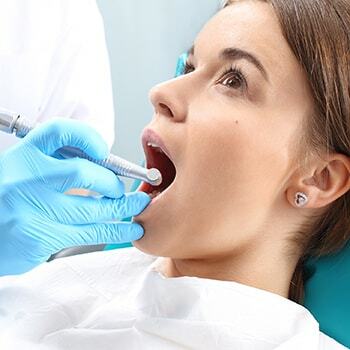 There is the stigma of root canals being a painful experience, but that is not the case. We’ll do everything possible to make sure this procedure is as painless as possible. Placing porcelain veneers requires the perfect blend of art and science. Dr. Amy Gavin is your cosmetic dentist for the Lewis Center and Olentangy areas. She’ll work closely with you to ensure your new smile is a work of art – made only for you. You can finally say “goodbye” to metal braces! With Invisalign, it’s possible to gain a straight, beautiful smile without putting your life on hold. 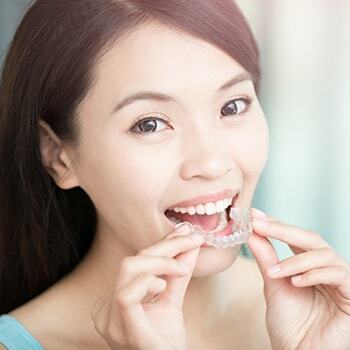 Invisalign is the modern twist to orthodontics by straightening your teeth using clear, virtually invisible aligners. Why is this option better? Aligners are removable: These clear, plastic aligners are customized to your smile and are not attached to your teeth. This allows you to remove the aligners whenever you need to eat or brush your teeth. Eat your favorite foods and brush with ease: Since the aligners are removable, you can eat your favorite foods without hesitation. Also, you can brush and floss normally without brackets and metal wires getting in the way. Virtually invisible: Invisalign aligners are clear, so people will hardly know you’re receiving orthodontic treatment! Beautiful results: Before you know it, you’ll have a beautiful, straight smile. Your true smile is out there and Dr. Gavin can help you find it with smile design! Your smile is the gateway to your personality, and it’s our goal to ensure you have a smile that merges with your personality. Investing in a brand new smile can be a scary decision, which is why we have a smile design simulator to preview your new smile before starting treatment. In turn, you’ll know what to expect with the end results, keeping your smile for years to come. Does your smile need an extra boost? Teeth whitening is an affordable and conservative method to brighten your smile. 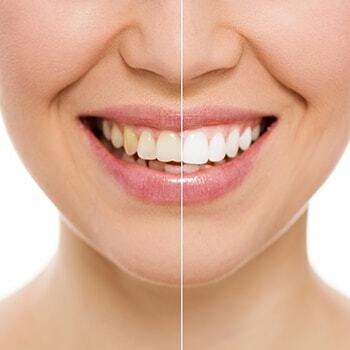 At Olentangy Modern Dental, our professional whitening methods are designed to brighten every contour of your smile, creating consistent, beautiful results. Are you missing teeth? Dealing with slipping and sliding dentures? Dental implants can help! 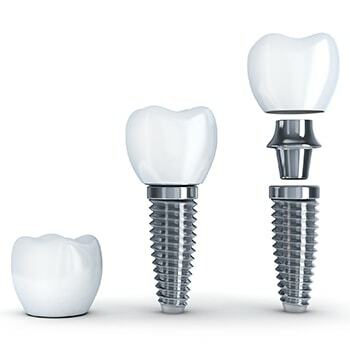 Implants mimic the look and function of the natural tooth, consisting of three parts: a post, abutment, and crown. Crowns: When a tooth is severely decayed or cracked, a dental crown is needed to restore the tooth’s function, stability, and beauty. As an artist, Dr. Gavin will ensure your crown blends seamlessly with your smile while having the durability of a natural tooth to last for a long time. 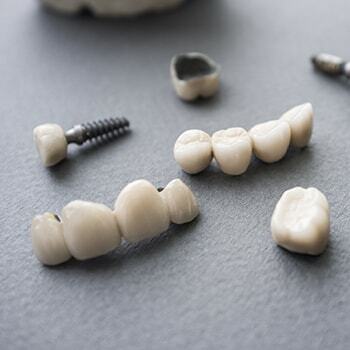 Bridges: Bridges are an alternative option to replace missing teeth if you’re not a candidate for dental implants. A bridge is an artificial tooth held in place by crowns, which are bonded to the adjacent teeth on each side of the gap. 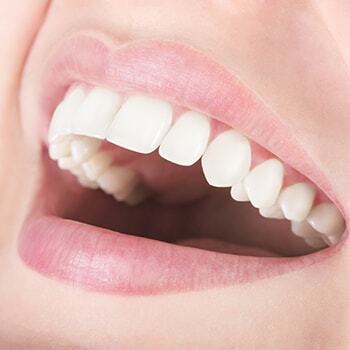 These artificial teeth will look and feel like natural teeth, restoring beauty and function. Schedule an appointment with Olentangy Modern Dental today.